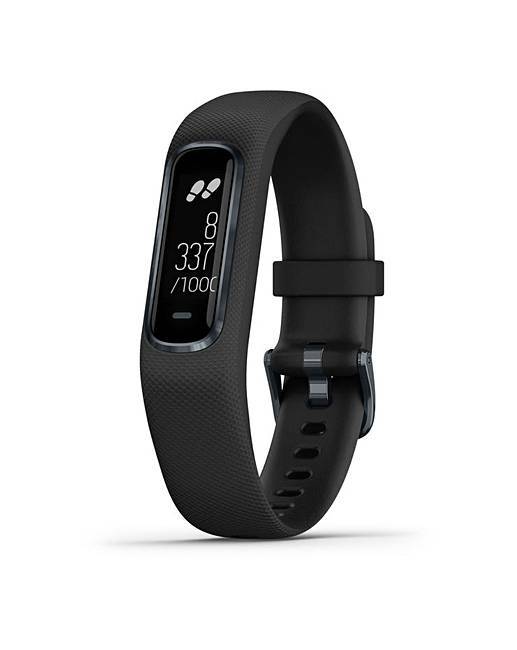 Garmin Vivosmart 4 Activity Tracker is rated 5.0 out of 5 by 1. 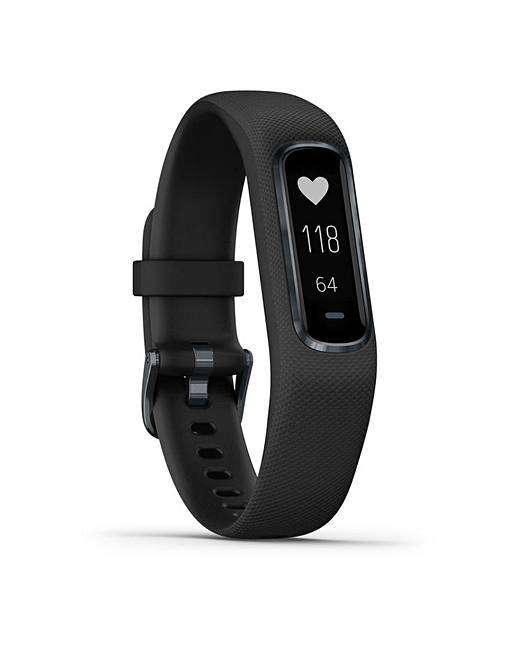 STYLISH DESIGN - Slim, smart activity tracker blends fashionable design with stylish metal accents and bright, easy-to-read display. ADVANCED SLEEP MONITORING - Includes advanced sleep monitoring with REM sleep stages and a Pulse Ox3 sensor at the wrist to gauge blood oxygen saturation levels. BODY BATTERY - Uses heart rate variability (HRV) to determine your body's energy level � higher number suggests you're ready to go; lower number suggests you may need rest. ALL-DAY STRESS MONITORING - All-day stress monitoring enables users to see periods of elevated stress or restful recovery. Includes easy-to-follow relaxation breathing exercise. 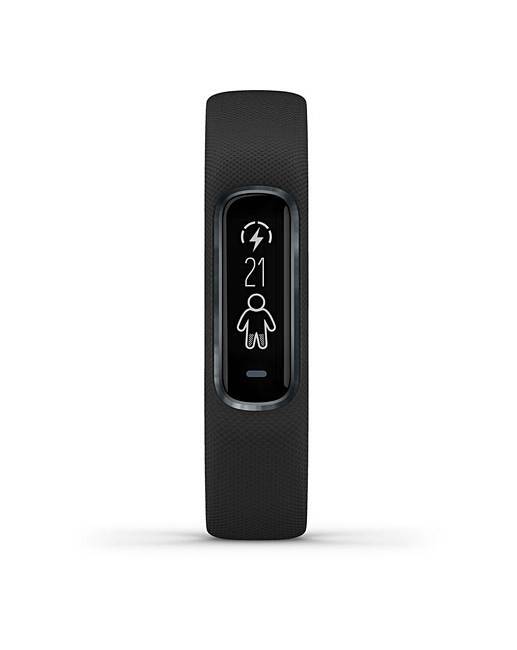 WRIST BASED HEART RATE - WHRM gives you heart rate monitoring all day and night � no additional strap required. VO2 MAX - VO2 max is an excellent way to measure your aerobic fitness and should increase as your fitness improves. SMART NOTIFICATIONS - Get vibration alerts for all notifications including calls, text messages and more (pre-set text responses for Android users) when paired with a compatible device. CONNECTED FEATURES - Automatic syncing to Garmin Connect, TrueUp multitracker synchronization, music controls, HR broadcast, find my phone, find my device and more.